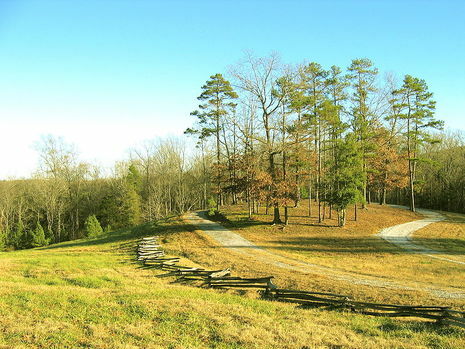 The Battle of Blackstock's Farm, an encounter of the American Revolutionary War, took place in what today is Union County, South Carolina, a few miles from Cross Anchor, on November 20, 1780. Sumter placed Colonel Henry Hampton and his South Carolina riflemen in the farm outbuildings. Some units he stationed behind stout fences and others he screened in the surrounding woods. Tarleton came up late in the fall afternoon and chose to make a frontal attack against a numerically superior force, not waiting for his infantry and artillery to catch up. At first he was successful. The Patriot militia fired at too great a distance, and before they could reload Major John Money, commanding the 63d Regiment, hit them with the bayonet. Nevertheless, in doing so, the 63d advanced too close to the farm buildings and came under fire from Hampton's men inside, as usual aiming "at the epaulets and stripes." 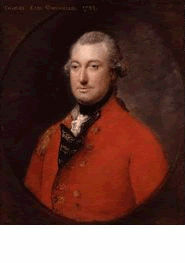 Money and two of his lieutenants were killed, and according to an officer of Fraser's Highlanders, a third of the privates as well. Meanwhile, other partisans worked their way around their right flank and attacked Tarleton's dragoons who were in their saddles but only watching the action. Realizing that the battle was going against him, Tarleton desperately ordered an uphill cavalry charge against riflemen firing from cover. As Lumpkin has written, "caution never was Tarleton's outstanding virtue." So many dragoons were knocked from their horses that "the road to the ford was blocked by the bodies of men and fallen chargers, the wounded, still targets, struggling back over their stricken comrades and kicking, screaming horses." Still, the British forces fell back in good order.